On April 8th, 2015 the Pro Se was forced to go in front of “Judge” (and I use the term loosely) Joesph Dry. We will let the transcript pick up from here… to download the complete transcript of the hearing click here. “JUDGE” DRY: These charges have been — you’ve been — they’ve been read to you before in another court, correct? PRO-SE: I was allegedly arraigned on June XXXXXXXXXXX 2014, Your Honor. “JUDGE” DRY: So there’s a charge of failure to stop at a stop sign,… and obstructing government administration, correct? PRO-SE: For remaining silent, yes, Your Honor. THE COURT: Uh-hum. So the case has been transferred here. PRO-SE: Your Honor, I — may I first address the Court on the — that does not look like the full file. I do not see any of my pleadings in there. I had an omnibus motion already filed. “JUDGE” DRY: It’s an arraignment. So Dry had NO JURISDICTION whatsoever and he could not move forward until the Pro-Se pleaded, which Dry never asked him to so why would he? Because “ADA” Kelly Balcom tried that at the Machias Court and failed miserably. That crash and burn on that one resulted in two judges recusing themselves from the matter, one judge recused herself where the matter was not even in front of her, another historical first in New York! The Pro-Se is lining up the be the all time leader for the New York State Jurisprudence Hall of Fame! Notice how Dry cut him off? Also notice how he admits he understands that the simplified informations were not signed? One time can be considered “incompetence or harmless error”, However you will see how Dry cuts off the Pro-Se constantly throughout this ‘action’, that rises Dry’s actions to the level of pattern and practice which can be part of a RICO lawsuit. Also notice what the Pro-Se said before Dry cut him off, i.e. telling Dry the simplified informations were not signed? Dry was actually holding them in his hand! The Court of Appeals has long held that legal error and judicial misconduct are “not necessarily mutually exclusive; a pattern of fundamental legal error may be ‘serious misconduct” [see Matter of Jung. 11 NY3d 365. 373 (2008) citing Matter of Reeves, 63 NY2d 105. Any rational person can easily see an pattern of fundamental legal error that is in actually ‘serious misconduct” in this matter committed by the Dry and the others. Simplified Information 3. One of the three not signed. Any Jurisdiction challenges may be raised at anytime. “[w]ant of jurisdiction is a basic defect, it may be raised at any time and can never be waived.” People v. Nicometi, at 431, 240 N.Y.S.2d 589, 191 N.E.2d 79, see also People v Hohmeyer, 70 NY2d 41, 43 (1987); People v Peacock, 68 NY2d 675 (1986); People v Alejandro, 70 NY2d 133 (1987). “It is…well established that the failure to properly verify an accusatory instrument is a jurisdictionally fatal defect.” See, People v. Minuto, 71 Misc 2d 800, 802-803, 337 NYS2d 88 (City Ct, Batavia, 1972). In PEOPLE v. BOBACK 23 N.Y.2d 189 (1968), the court of Appeals (the highest court in New York), held that the use of the Simplified Traffic Information is authorized where the information is signed by an officer whose knowledge of the facts is based upon information and belief. Most people think that an Appearance Ticket is the charge. It is not. 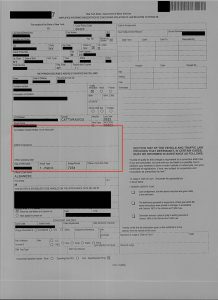 It is well settled that an appearance ticket is not an accusatory instrument and its filing does not confer jurisdiction over the [alleged] defendant. People v. Horner, 176 Misc 2d 93(App. Term 1998) citing People v. Cooperman, N.Y.L.J., Jan. 17, 1989, at 26, col 4 (App. Term, 9th & 10th Jud. Dists. ); People v. Gregory, N.Y.L.J., Dec. 5, 1991, at 30, col 2 (App. Term, 9th & 10th Jud. Dists). “the People must have a valid accusatory instrument upon which the defendant may be brought to trial, where to the People have complied with their obligation to produce for trial a defendant in their custody [if applicable], and where all pending proceedings required to be decided before trial can commence.” [People v. Caussade, 162 AD2d 4, 8 (2d Dept., 1995)]. How about William Preston Marshall, i.e. the representative of “the People”, is there a law specific to that? Again, the Court of Appeals has long held that legal error and judicial misconduct are “not necessarily mutually exclusive; a pattern of fundamental legal error may be ‘serious misconduct” see Matter of Jung. 11 NY3d 365. 373 (2008) citing Matter of Reeves, 63 NY2d 105. So when Dry starts claiming that it was converted into long form the Pro-se counters with it could not be because he never asked for or wanted a supporting deposition. Why should he, Albanese is accomplished at testalying 1–2–3. A supporting deposition that is asked for and delivered on time. 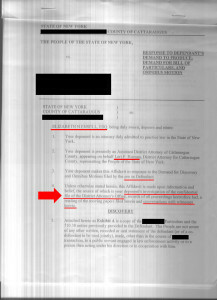 A victim of the New York police state has 30 days to ask for a deposition directly to “the People” and he can also ask the court within that time and the court will order the police to subscribe and verified and serve upon the police state victim the deposition. If the individual does not ask for one then it cannot be provided and the individual must consent to being prosecuted on the simplified informations themselves and in this matter why would anyone ever want a supporting deposition from a perjurer like Albanese? By this statement Marshall admitted that a supporting deposition was subscribed and verified by the person responsible and service was attempted. 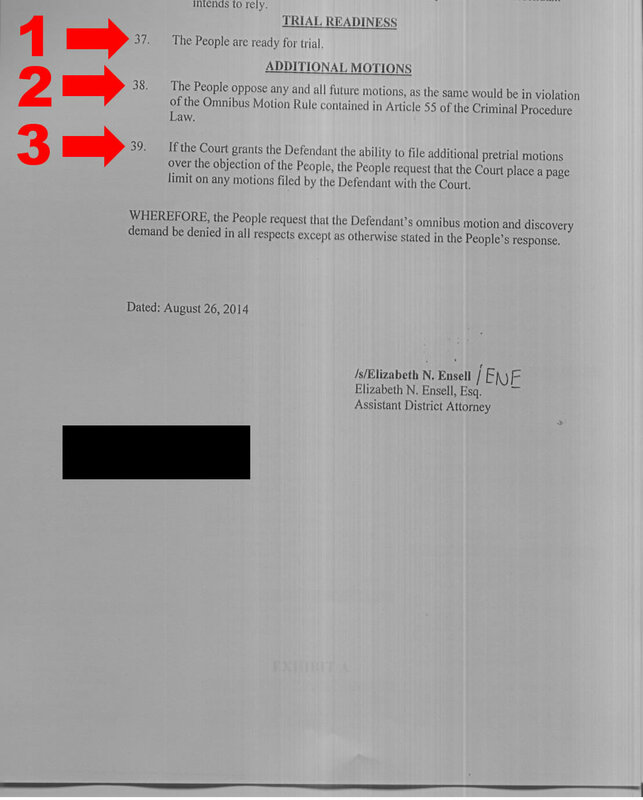 In this matter on August 26th, 2014 the People, by and through “ADA” Kelly Balcom, did file and force upon the Pro Se a “Response to Defendants Demand to Produce, Demand for Bill of Particulars, and Omnibus Motion,” dated August 26th, 2014, subscribed and sworn to by ‘ADA’ Elizabeth Ensell. 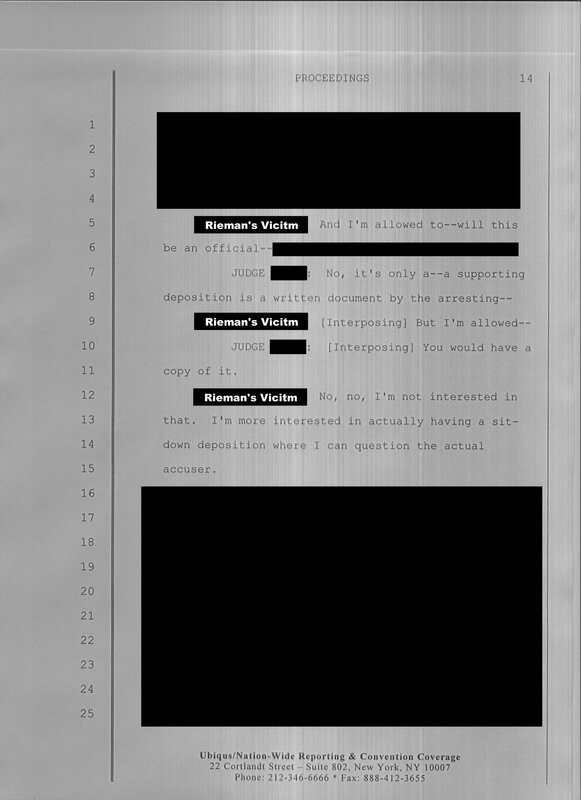 In said People’s response a copy of the alleged supporting deposition appears in Exhibit A. Here is the interesting aspect “the People” i.e. 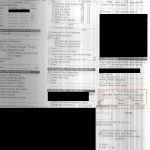 perjurer Elizabeth Ensell, stated in her response that it was served upon the Pro-Se, but perjurer Matthew Albanese claims it was not served in his paperwork. Bogus Supporting Deposition. Claimed they served it on the Pro-Se, which they never did and the video of the court file proves it. 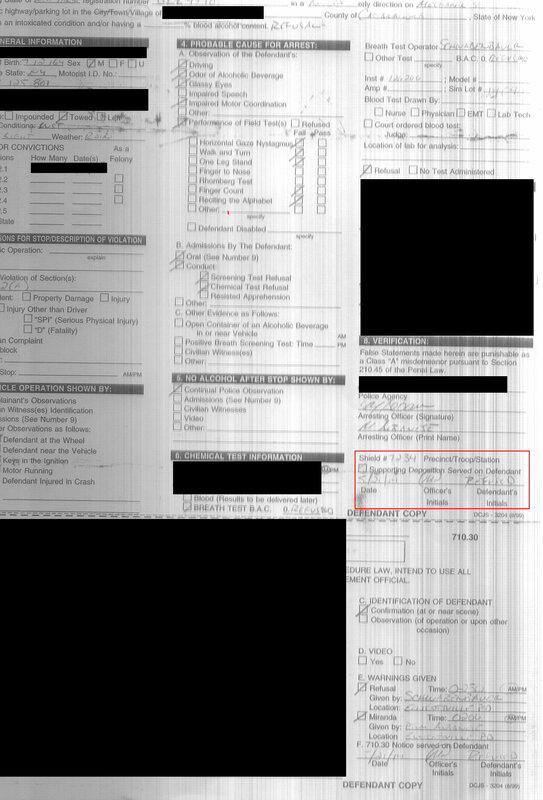 The “Defendant” was not “notified of DWI & Miranda”, the box in which the time the warning’s were read to the Alleged Defendant is blank. Perjurer Albanese claims that the defendant must have been talking to him, yet other boxes are blank and Albanese did claim, in the bogus Obstruction of Government Administration Charge that the Pro-Se did remain silent so how could these even be filled in? Proof that Graham was at the scene and therefore was required to create the deposition. The Description does not conform to the the requirements required by law. PRO SE: No, no, I’m not interested in that. I’m more interested in actually having a sit-down deposition where I can question the actual accuser. ORIGINAL COURT: You can do that in trial (note; this was the original alleged arraignment and the Pro-Se had not filed any pre-trial motions yet). I highly doubt Dry will let the Pro-Se even question Albanese with relevant questions as to his credibility and state of mind. 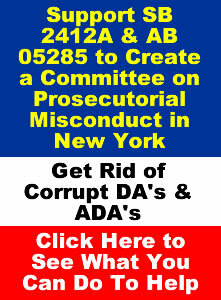 Something which lawyers are allowed to do but Pro-Se’s are not in Cattaraugus County New York. Albanese was also the one that failed and/or refused to sign the simplified informations within the time allowed, which was up to and including the original arraignment. The only one he did sign was the Obstruction of Government Administration 2nd for remaining silent which is constitutionally defective. 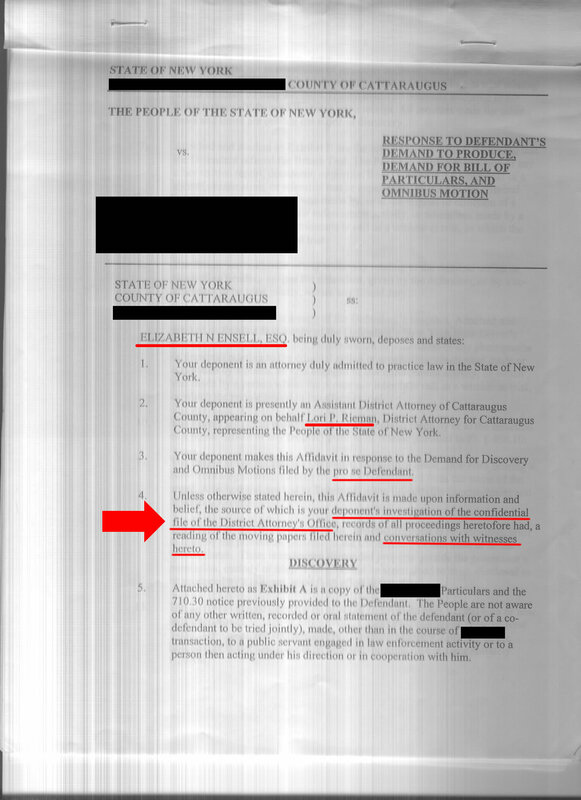 As shown, Amber Graham was present during the whole event, so it was she was the one that was mandated to subscribe and verify the supporting deposition not the perjurer/complainant Albanese as required by CPL § 100.20. Therefore, since the concurrently filed alleged “supporting deposition” is not verified by the Graham, and even if it was it would be in violation of CPL § 100.2, it cannot be a “supporting deposition” within the meaning of CPL § 100.20. Further CPL § 100.25(2) mandates that a supporting deposition of the complainant police officer or public servant requires a request by the defendant and an order of the court, in the absence of either, such a “gratuitous” filing cannot be deemed to be a “supporting deposition” within the meaning of CPL 100.25(2). So even if it was subscribed and verified by the correct individual it was never asked for by the Pro-Se and therefore should not even exist. DRY LIES TO THE PRO-SE. DRY: (Inaudible.) 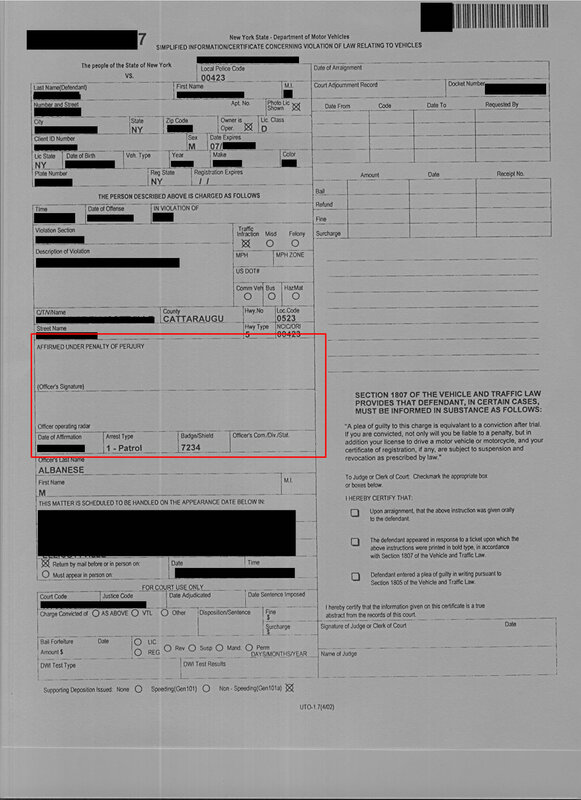 In the demand it says that you were stopped because of a — allegedly for failing to stop at a stop sign. There is nothing in the demand that even mentions this at all. This proves Dry did not even read the demand and was working off a preset agenda for a pre-determined outcome. Can you guess what this outcome will be? Click here to download the demand for discovery to see for yourself. Another attempt by Dry to trick the Pro se into waving his right to hearings on the motions he filed was when he was constantly claiming that all the People had to do was to respond to the Pro Se’s motions. This is another complete lie further, the People only responded once to ANY of the Pro-Se pleadings, the Pro-Se’s very first one, the Peoples response was the one in which “ADA” Elizabeth Ensell perjured herself when she claimed the Pro-Se was not allowed to file anymore motions because of “Omnibus Motion Rule Article 55 of the Criminal Procedure Law” which DOES NOT EXIST. A complete lie. The Pro Se has challenged each and everyone of the Criminal Rieman’s pleadings/papers and Rieman has only challenged one and that failed miserably. The Pro se was referring to his response to the peoples response. Balcom even tried to claim on December 3rd that the People did not have to respond to the Pro-se response, which is another lie by her. DRY: Yes I understand the case, I have reviewed the case. The motions you have made, the response has been made by the district attorney’s office. PRO-SE: I do not except, there is still motions that have not been heard, there has to be…. DRY: Those have been answered, everything…. DRY: They have been answered..
DRY: Hearings are denied. You have had your ummm…. If you were representing yourself in this “court” would you be confused? 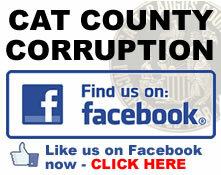 Further proof it is illegal to represent yourself in Cattaraugus County New York. 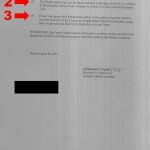 Again, the Pro Se made it very clear to Dry that the simplified informations were not signed. Dry was even holding them in his hand when the Pro-Se pointed that out to him. Dry then attempted to claim that it was ‘converted.’ So what does the law say about conversion of a simplified information? “Where there is evidence presented to a court sufficient to challenge the legitimacy of the complainant’s verification, the court’s jurisdiction is no longer assured and an inquiry must be undertaken to determine whether the complaint was properly converted” (Camacho, 185 Misc 2d at 35-36, citing People v. Case, 42 NY2d 98 ; People v. Honshj, 176 Misc 2d 170, 174 [Crim Ct, Kings County 1998], citing People v. Vasquez, NYLJ 11/25/94, at 32, col 1 [App Term, 2nd Dept 1994] and People v. Darryl K., NYLJ 7/7/1993, at 24, col 6 [App Term, 2nd Dept], lv den sub nom People v. Khan, 82 NY2d 721 ). In this matter it could not be converted and any attempt by any person, public official or otherwise, and to move forward with this matter is an criminal act in an attempt to cover up the fact that the Dry knew, or should have known that Rieman lack the authority to prosecute the underlying simplified informations in any way whatsoever and he lacked the authority to move it to trial. In People v Cobb, 2 Misc 3d 237, 768 N.Y.S.2d 295, 2003, the court decided that an accusatory instrument is jurisdictionally defective only to the extent that Criminal Court does not have jurisdiction to enter a guilty plea or commence a trial of a defendant upon an accusatory instrument which contains such non-waivable defects. Criminal Courts does have subject matter jurisdiction over the facially insufficient accusatory instrument ONLY prior to trial or judgment. It does not have jurisdiction to proceed to trial, which includes, but not limited to scheduling a trial, conducting one, render judgment and so on. They have to review the document, is it signed or not, and if it is not, its over, PERIOD. DRY: I think the — I think the People are ready for trial. By law the People have to be ready for trial within 90 days or it gets dismissed on a 30.30 motion. Rieman is notorious for getting cases thrown out because of violating time limits. Why? Simple, look at what is going on with these cases, she probably has so many cases that are a fraud perpetuated by her and her office she can’t handle all of them. And the lengths this thing will go to on coming up with some more bogus information/investigations on this Pro-Se who was allegedly charged with a couple of violations and misdemeanors in mind boggling. It’s all about the money, she could care less about going after real criminals, like the ones that really hurt people (and we have evidence of that also) because there is no money in it. DRY: Well, you’re asking for discovery and all that’s been provided to you. What more is there? DRY: We’ll set it down for a jury trial. 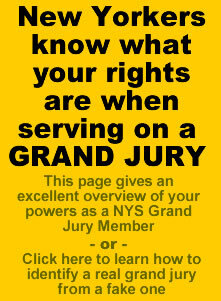 A jury for the most part does not have experience in the courtroom or fully understand the law. They are easily taken advantage of by ill-willed Prosecutors who know how to manipulate jurors emotions, concepts, etc… to influence the outcome of the trial. Further in this matter you have Verna Dry who is the jury commissioner for Cattaraugus County, i.e. controls the pool of jurors. 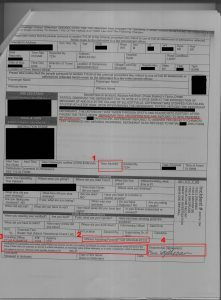 She is directly related to “Judge” Dry and Verna has already violated the Pro-Se’s 1st Amendment rights to document what is in the one of his files at the County Court. Gee…can you guess what will happen? The reason Dry forced a jury trial is because it removes him from liability. However, the Pro-Se, even if he had a bench trial, do you think it would be fair? Judges have no immunity when they conspire with others to deny a person their rights. DRY CLAIMS IT IS ALRIGHT FOR POLICE OFFICERS TO ASSAULT YOU, PERJURE THEMSELVES AND FOR THE DISTRICT ATTORNEY TO FILE FALSIFIED EVIDENCE AND HAVE NO LEGITIMATE CHARGES AGAINST YOU. AND YOU ARE NOT ALLOWED TO BRING THAT UP AS A DEFENSE! DRY: Well, I won’t hear that. 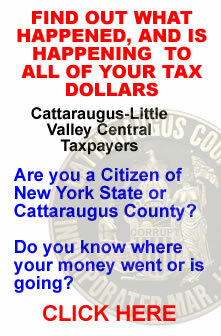 Yes, that’s right, only in good old Cattaraugus County New York you are not allowed to bring up the fact that they made the whole thing up and you can prove it with their own paperwork! So why was Dry pushing so hard for a jury trial? Simple, he knows he as well as the Rieman can take advantage of the jury’s lack of understanding of the law and how things are supposed to work at trial and make sure the Pro-Se is found guilty no matter how much evidence he has. This is actually what happened to the Pro-Se at the alleged DMV hearing back in 2014 when he was threaten to be arrested if he did not leave the building immediately, i.e. 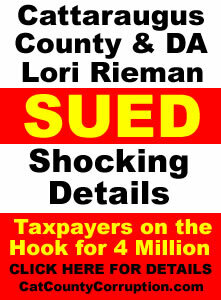 kicked out by the judge, and not allowed to testify on his own behalf, or worse they will rig the jury like it appears they did in the 4 million dollar federal lawsuit case in which Rieman and the County are being sued. LET’S DO A RECAP AND SHOW HOW THE PRO-SE IS GOING TO BE GIVEN A FAIR AND HONEST TRIAL! The original accuser, “police officer” Matthew Albanese has already committed perjury in this matter a number of times and the People have already admitted that he lacks the mental reasoning ability to perform the functions of his office properly. Susan Koch who appears to be the mother-in-law of Jillian Koch has admitted to destroying the video of the hearing that the Pro-Se attended on 08APR15. Susan Koch is the Town Clerk of Little Valley and Jillian Koch is the Court Clerk of Little Valley. One big happy family all looking out for each other by violating the law whenever they want to. The Jury Commissioner Verna Dry, who is also the Chief Clerk of the County Court, who gets to pick the Jury Pool is directly related to “Judge” Joesph Dry is implicated in in tampering with a public record which is part of a four million dollar lawsuit and she has denied the Pro-Se the right to document what is in his court file to make sure it is not tampered with in violation of 18 U.S.C. § 1519 and CPL § 175.25. Further Verna Dry is now claiming that you are not allowed to document what is in your court file so you can prove it has been tampered with. The “Assistant District Attorney” William Preston Marshall, who is moving forward in the Pro-Se’s matter and who has already lied in it (claiming that the People were ready for trial when in fact they knew they were not) has also been implicated in the four million dollar lawsuit in which their is evidence that he rigged the jury and intimidated a witness by telling her that he would take her children away if she did not testify against her husband, which by law a wife does not have to do in New York. “Judge’ Dry is directly related to Vera Dry who has already violated the Pro-Se’s rights and he as committed so many violations in the Pro-Se’s matter that it is obvious what the outcome will be…. 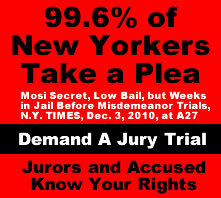 The Pro-Se is not allowed to show the jury the “exceptionally serious misconduct”, Dry has already stated that these crimes being perjury, falsified evidence and assault that the criminals Albanese, Schwabenbauer, Balcom, Ensell and Reiman have committed in this matter… will not be heard at trial. Do you really think Dry will allow the Pro Se to bring these bad acts up that the law dictates? In criminal matters a “defendant” is allowed to bring prior bad acts by public officers as a defense; People v Andrew, 54 AD3d 618 [1st Dept 2008], lv denied 11 NY3d 895 ; see also People v Smith, 122 AD3d 456 [1st Dept 2014]. Further that is the sole purpose of a CPL 170.40 Motion, which of course Dry denied see also People v Selig 2015 NY Slip Op 50573(U). 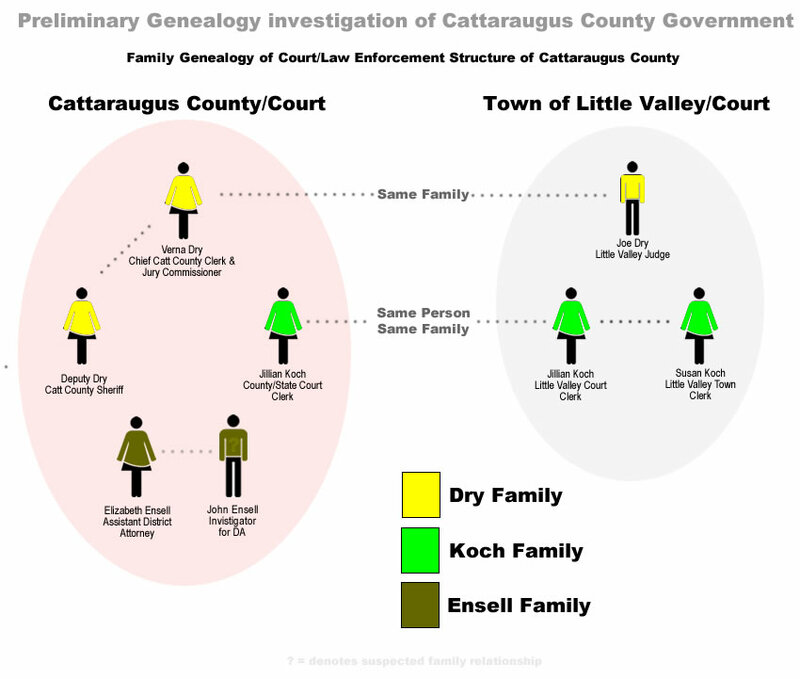 To your left is the res ults of a preliminary genealogical structure investigation of the Little Valley/County Court system concerning the PRO-Se matter. Further it was County Court Judge who recommended that the venue be changed to Little Valley. As you can see its all family members and friends protecting and covering up each others crimes. it’s a crime syndicate pure and simple. The criminal family syndicate we are exposing is a Little Valley Judge who’s relative is the Chief Court Clerk of Cattaraugus County who is also the jury commissioner, who gets to pick the jury, and one of the County Chief Court Clerk’s employees, Jillian Koch is also the Little Valley Town Court Clerk, who’s mother-in-law is the town clerk who allowed for the destruction of the video of the action/hearing/whatever it was that the Pro-Se litigant appeared in, the Pro-Se is being “prosecuted” by an ADA who is at the center of the four million dollar lawsuit which the County Judge deemed the actions of the District Attorney’s employees were illegal and has also been implicated in jury rigging and witness intimidation. Tell me, what person in their right mind would ever think they would get a fair trial in a matter with these types of circumstances? Yeap…..that’s going to be a Fair Trial for sure! Only in Catt County New York, WHERE THE LAW AND REALITY ARE ON PERMANENT VACATION! 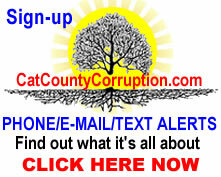 This entry was posted in Catt Co, Catt Co Important, Catt Co New and tagged Cattaraugus Conty Corruption, cattaraugus county, cattaraugus county court corruption, court clerk corruption, destruction of evidence, Jillian Koch, jillian koch criminal, judge joseph dry, little valley new york, little valley new york town court, little valley new york town court corruptio, susan koch, tampering with public records on January 9, 2016 by catcount.